The FR-225 is The Tougher One Of The Two $1 Educational To Come By. Among the most beautiful, historical and popular of all forms of paper money are the United States Series 1896 Silver Certificates. Known as the "Educational" notes, these $1, $2 and $5 bills take their name from the imagery on the face of the one dollar denomination, a painting by Will Low entitled "History Instructing Youth" adapted by engraver Charles Schlecht. The painting hangs in the Bureau of Engraving and Printing in Washington, D.C. 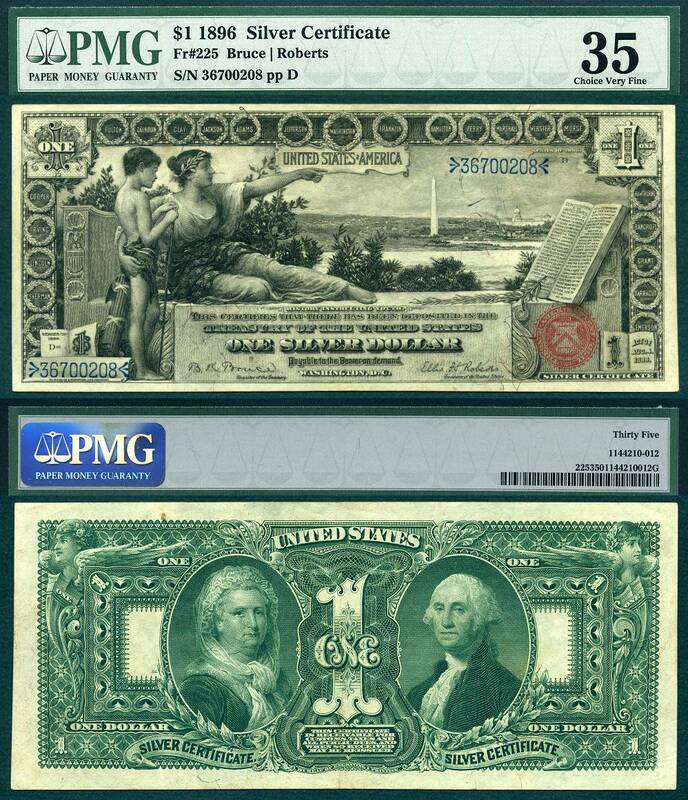 Vignettes of Martha and George Washington appear on the back of the $1 Silver Certificate.